An arrest in Oklahoma on DUI or drunk driving charges has serious consequences. You could lose your driver’s license, see your car insurance rates skyrocket, be forced to pay large fines and court costs. You could even face jail time. A state highway patrol billboard warns drunken drivers “You just blew $10,000.” A conviction on those charges could also jeopardize your professional license and make it harder for you to earn a living and support a family. Consecutive DUI offenses can result in a felony conviction. A blood alcohol content reading of 0.08 within two hours of an arrest can be used as proof of a violation (higher BAC readings bring more severe charges and penalties). Police sometimes charge drivers with DWI with nothing more than subjective evidence — or a driver’s own statements — to support the charges that a person was driving while intoxicated. 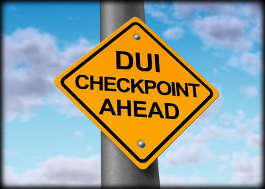 After a DUI or DWI arrest, you have only 15 days to ask for a hearing on keeping your driver’s license, which is likely to be suspended for at least six months, and possibly longer. You may also need need a skilled, experienced Muskogee DUI attorney to represent you in a hearing on your license suspension and to help get the best possible result if you face other charges. An effective Muskogee DUI attorney can help defend you against charges or make the best case for reducing a DUI to a lesser charge. Courts also have the latitude to order assessments and treatment in drug substance abuse programs, and to suspend or defer sentences for DUI or DWI offenses.